A circular business model articulates the logic of how an organisation creates, offers, and delivers value to its broader range of stakeholders while minimising ecological and social costs. Circular businesses no longer focus mainly on profit maximisation or pursue cost-cutting through greater efficiency in supply chains, factories, and operations as the primary corporate objective. Rather, they concentrate on redesigning and restructuring Product-Service-Systems from the bottom up to ensure future viability of business activities and market competiveness. Circular businesses are deeply involved in the product usage phase; they generate revenues through provisioning services instead of selling physical products; they rethink the conventional producer-consumer-relationships, value creation activities and the structure of value chains; ecological and social factors complement the overall business culture and philosophy. The move to a circular business model is an example of a fundamental change, which requires a new way of thinking and doing business. 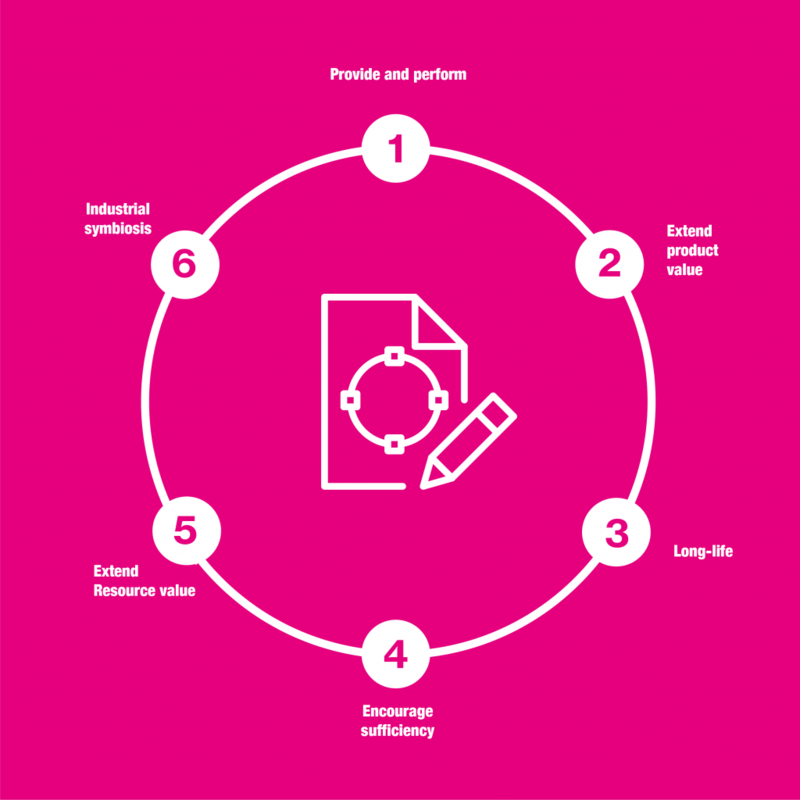 The following identified circular business model typology provides opportunities for implementing the idea of circularity at a practical level. It should be noted that the briefly described types do not necessarily present full business model innovations, but rather, key elements of strategies that contribute to a circular business. They have their own distinct characteristics but precisely boundaries between them do not exist. They can be used singly or in combination to support companies achieve massive natural resource productivity. It is based on supplying fully renewable, recyclable, or biodegradable resource inputs that sustain circular production and consumption systems. The value proposition focuses on the substitution of fossil, critical and scars materials. Access and performance is concerned with providing the capability or services to satisfy users’ needs without owning physical products. The value proposition includes the offering of Product-Service-Systems, a combination of products and services that seek to provide functionality for customers. Extending product value focuses on exploiting residual value of products and delivering high-quality, long-lasting products supported by design for durability, reparability, upgradability, and modularity. Values that would otherwise be lost through wasted materials are instead maintained or even improved by repairing, upgrading, refurbishing, remanufacturing or remarketing products. It promotes platforms for collaboration among producers and consumers, either individuals or organizations. The value proposition concentrates on enabling interaction between different but interdependently actors and bring together supply and demand. Providing the capability or services to satisfy user needs without needing to own physical products. Exploiting residual value of products – from manufacture, to consumers, and then back to manufacturing – or collection of products between distinct business entities. Business models focused on delivering long-product life, supported by design for durability and repair for instance. Solutions that actively seek to reduce end-user consumption through principles such as durability, upgradability, service, warrantees, reparability and a non-consumerist approach to marketing and sales. Exploiting the residual value of resources: collection and sourcing of otherwise “wasted” materials or resources to turn these into new forms of value. A process-oriented solution, concerned with using residual outputs from one process as feedstock for another process, which benefits from geographical proximity of businesses.